Wow! 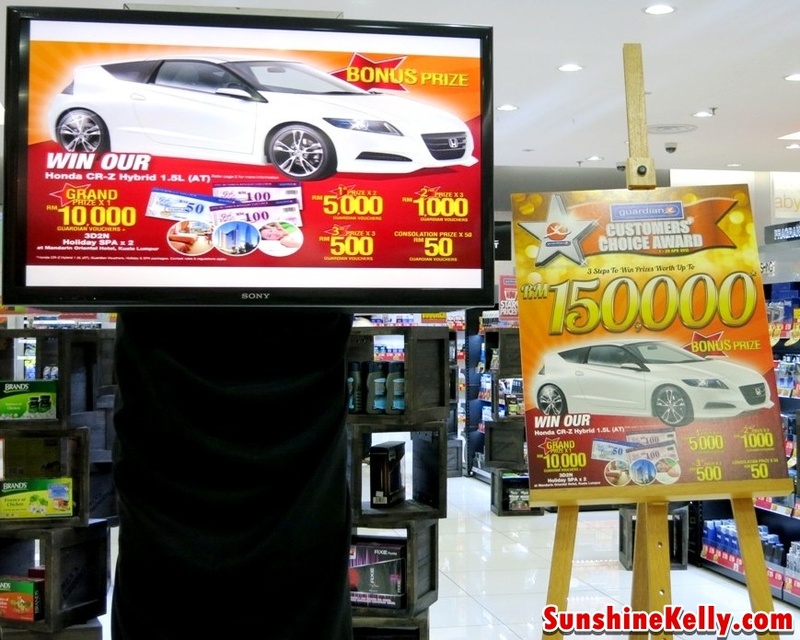 Just 3 Steps to Win Prizes Worth up to RM150,000! Including a brand Honda CR-Z Hybrid 1.5L (AT). The Guardian Customers’s Choice Award 2013 from 1st till 29th April 2013. 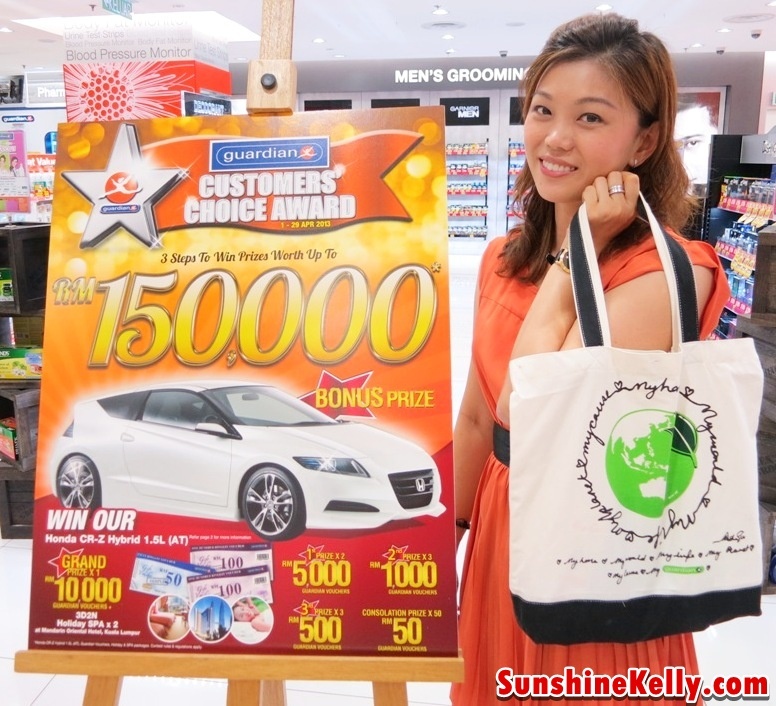 I attended the introduction of the contest organized by Guardian at their Sunway Pyramid store. 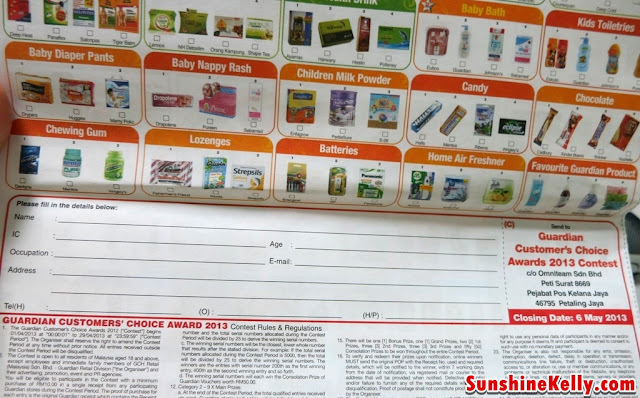 This Guardian Customers’s Choice Award 2013 is actually very simple. 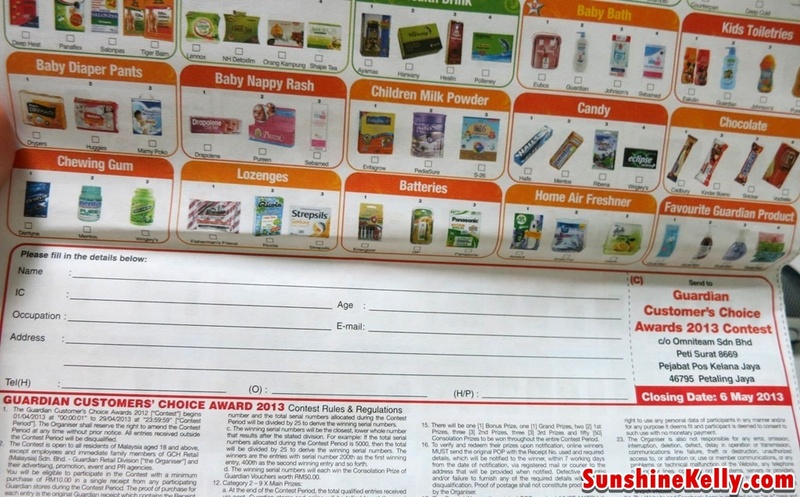 Maybe some of you have participated it before because this Guardian Customers’ Choice Awards is in its 13th year. 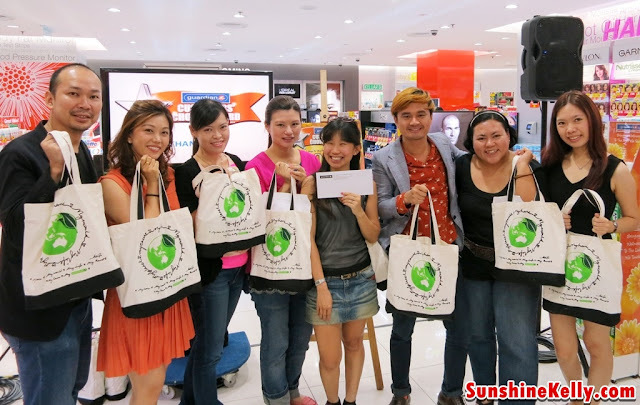 Grand Prize is RM10,000 Guardian Vouchers and 3D2N Holiday SPA for 2 at Mandarin Oriental Hotel, Kuala Lumpur. Bonus Prize is Honda CR-Z Hybrid 1.5L (AT). 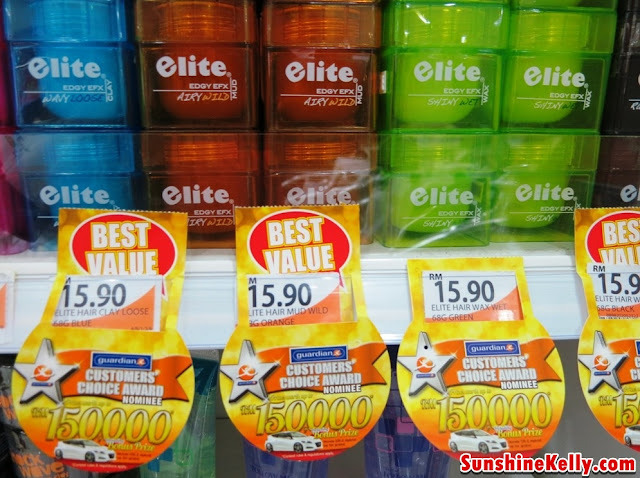 Vote for the categories marked with Stars. 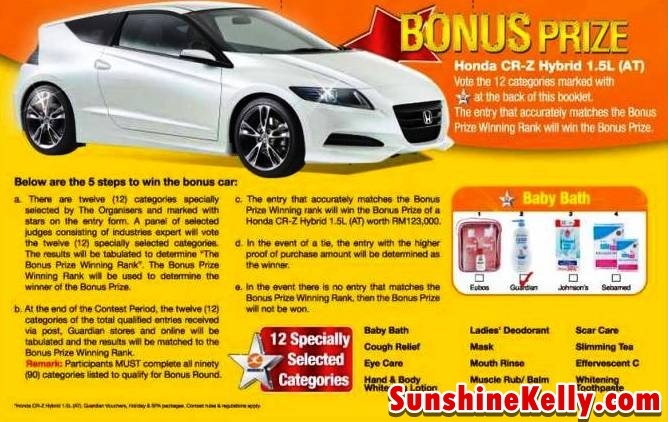 12 Special selected cateogeies mark with Stars at the back of this booklet, The entry that accurately matches the Bonus Prize winning Rank will win the Bonus Prize, Honda CR-Z Hybrid 1.5L (AT) worth RM123,000! The 12 Specially Selected Categories are Baby Bath, Cough Relief, Eye Care, Hand & Body Whitening Lotion, Ladies’ Deodorant, Mask, Mouth Rinse, Muscle Rub / Balm, Scar Care, Slimming Tea, Effervescent C, Whitening Toothpaste. 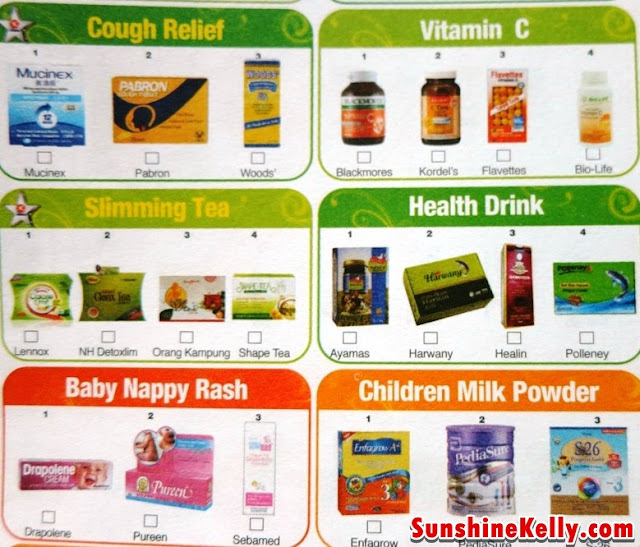 Step 2: Vote by just tick one (only 1) brand for each category and complete all the 90 categories. 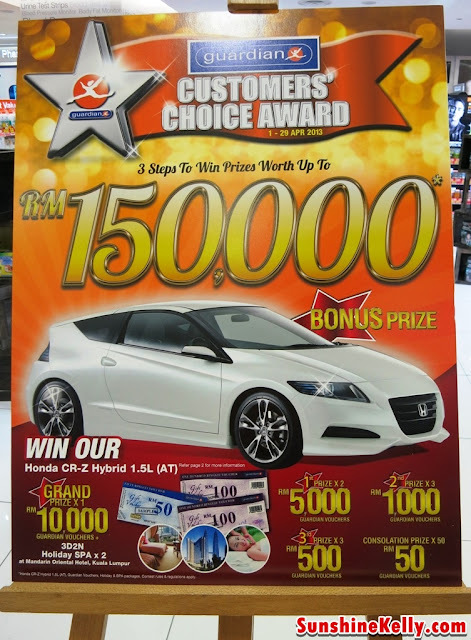 Step 3: Fill in your particulars and attach receipt with minimum purchase of RM10 during the contest period and submit the entry form to the nearest Guardian store or post to the address stated by 6 May 2013.